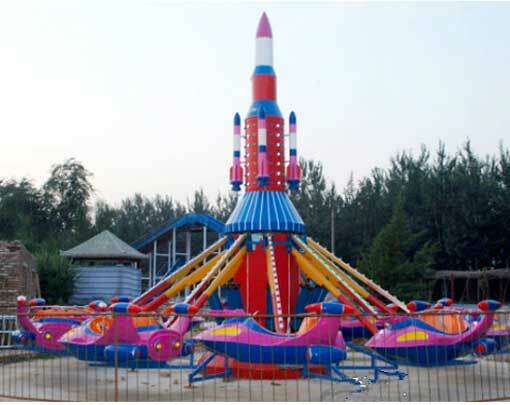 Self-controlled plane amusement rides for sale, which is a children’s amusement equipment, playground equipment, park play equipment, outdoor play equipment, and large amusement equipment. 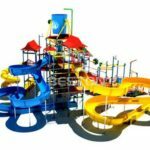 It is a new type of amusement equipment which consisting of mechanical, pneumatic and electrical systems. The self-controlled rides is divided into 6-arm, 8-arm, 12-arm and other models you can customized. It is a kind of amusement equipment for lifting aircraft that rotates around the center of the vertical axis and rises and falls freely. The aircraft rotates around the center rocket or other styling decoration, and is free to control the rise. The equipment is 6.5 meters in diameter, the maximum undulating height of the aircraft is 1.9 meters, and the lowest is 0.3 meters from the ground. The passengers hold the joysticks in flight to lift and arbitrarily, chasing and shooting each other. It is a play device that passengers can control their own lift. The central rocket and the boom are equipped with lanterns. After the equipment is running, it is dazzling and dazzling!